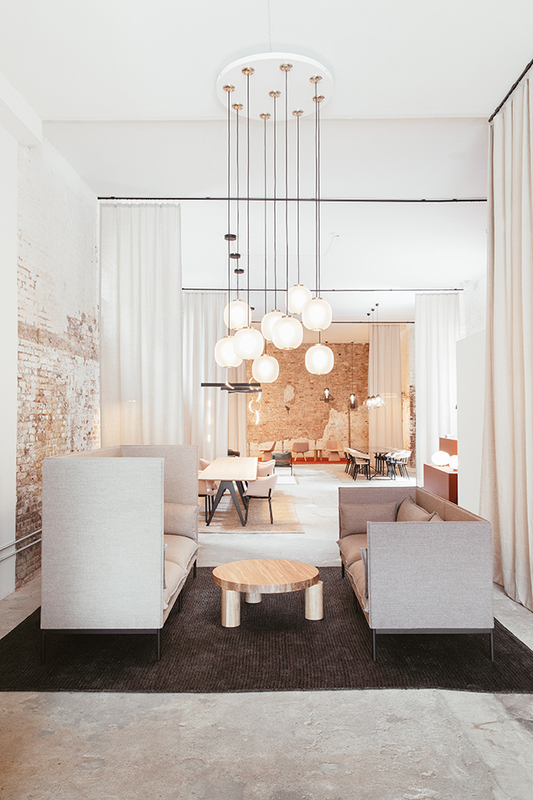 2018 has been a busy year for Simon James Design with new product releases, projects and a pop up in NYC by Resident. Founded in New Zealand by Simon James and Scott Bridgens, Resident is a globally focused design company, managing its manufacturing and distribution in three locations - Auckland, London and Los Angeles. The pop up, Travelling Without Bags, is an experiential retail destination located in the heart of New York City. 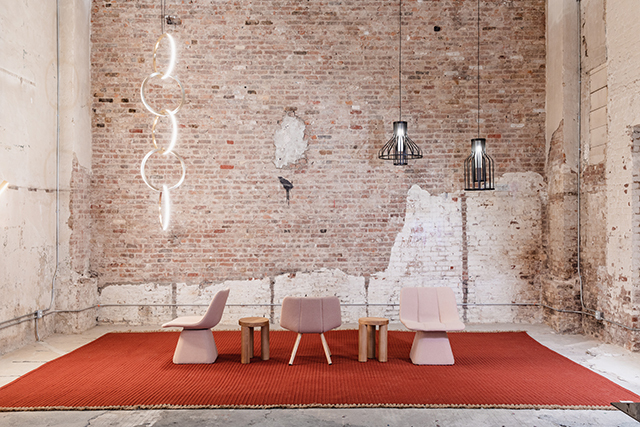 Open through till end of May, the bold installation presents the best of Resident’s celebrated furniture and lighting range as well as the worldwide launch of its 2018 collection. Since its launch in 2011, Resident has struck a chord with design-conscious people who are passionate about the way they live. Every object showcases the highest level of refinement, while also holding the unique fingerprint of the designer. By balancing a desire for new ideas and progression with an appreciation for simple forms, the designs have a unique way of either harmonising with a room or acting as a deliberate contrast. 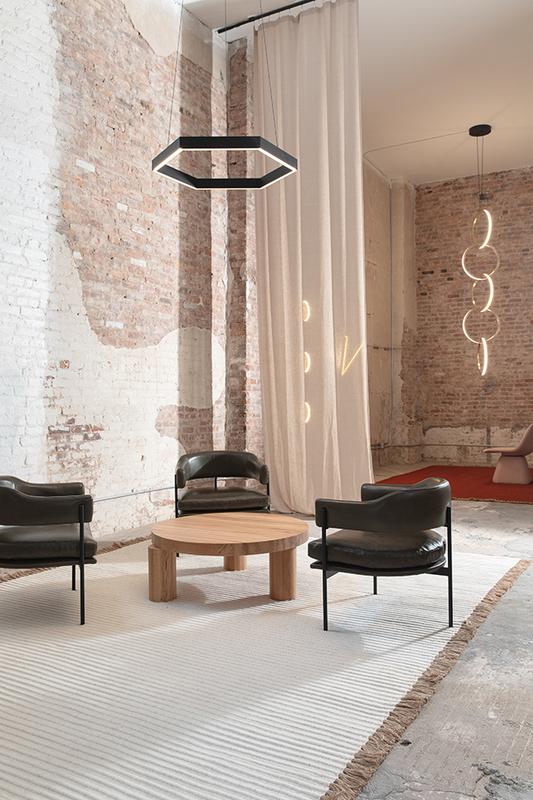 This ethos has been beautifully applied to the pop up space, where the elegant and refined lines of the Resident pieces are juxtaposed against the rawness of the exposed bricks and concrete floors. The vibrant Nodi rugs and soft curtains add further texture to the striking space. Travelling Without Bags is located at 39 Spring Street, New York City and is open until 31st May. Here's a closer look at some of the new product launches for 2018. 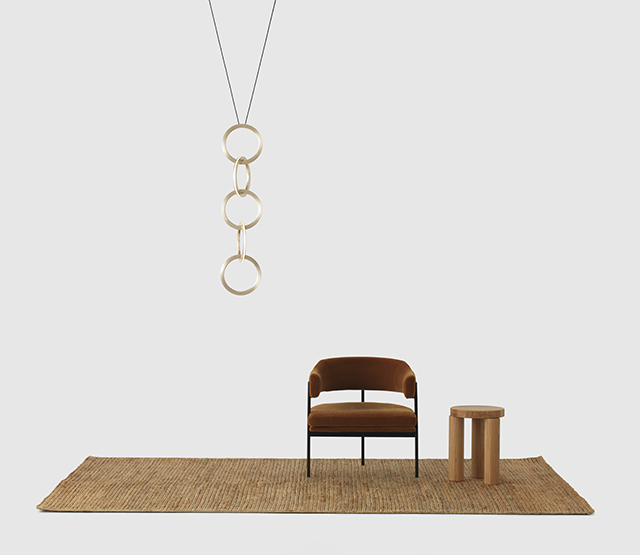 Having admired the Bloom Pendant since its launch last year, I was excited to hear news of the new table version. 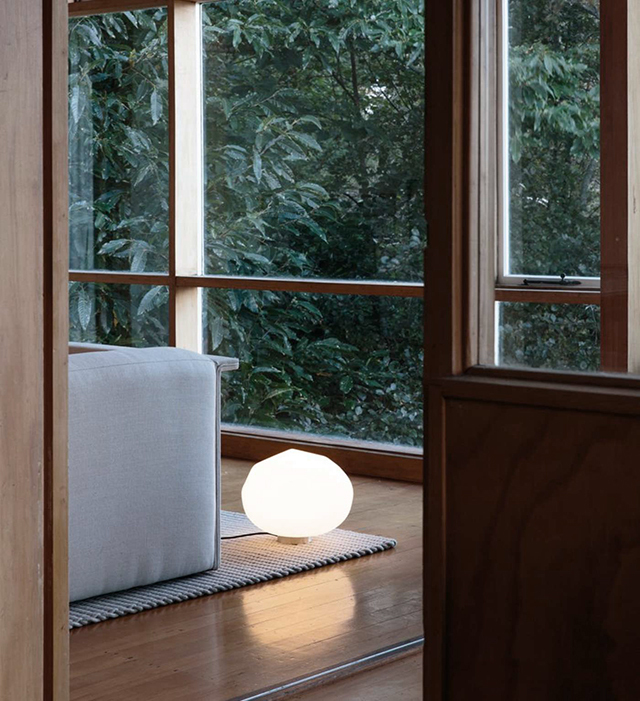 Designed by Tim Rundle, the Bloom Table light's super-elliptical form is inspired by the gentle dynamic flow of paper lanterns. Its glorious lit effect is the result of light passing through a finely perforated mesh core and onto the inside of the frosted blown glass shade, thus creating a distinctive pattern. An effect that lends itself beautifully to the table lamp version, it sits proudly atop a plated stainless steel base, and projects a warm consistent hue upwards into a space. 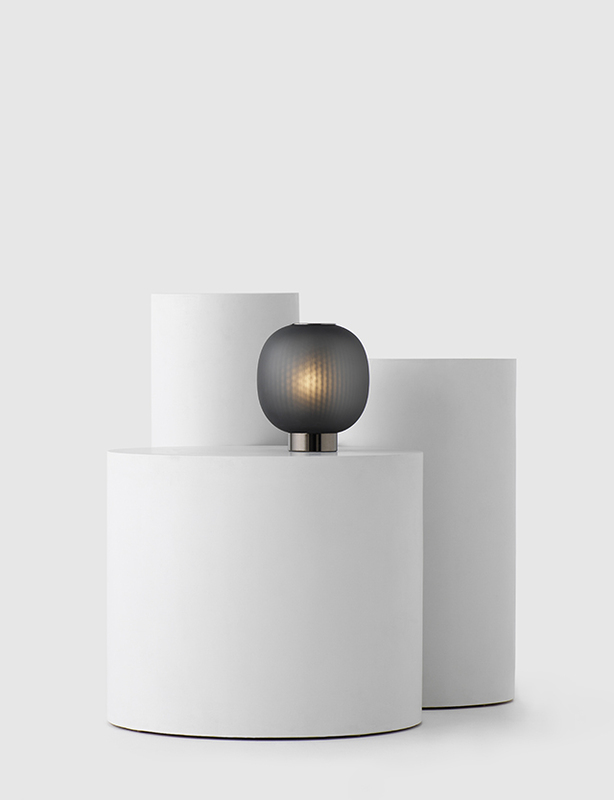 Available in White or Black, Bloom is a truly striking and versatile table lamp. 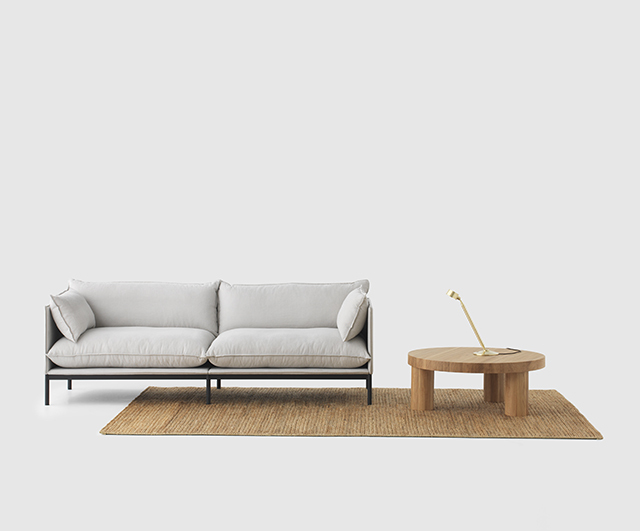 The Carousel Sofa designed by Cameron Fogo of Nonn blurs the barriers between residential and commercial furniture with multifunctional low, mid and high-back options. Though sturdy in appearance, the sofa is softened by generously sized cushions and sits upon a refined black steel frame. With an elegant form and clean lines, this is truly a timeless design. 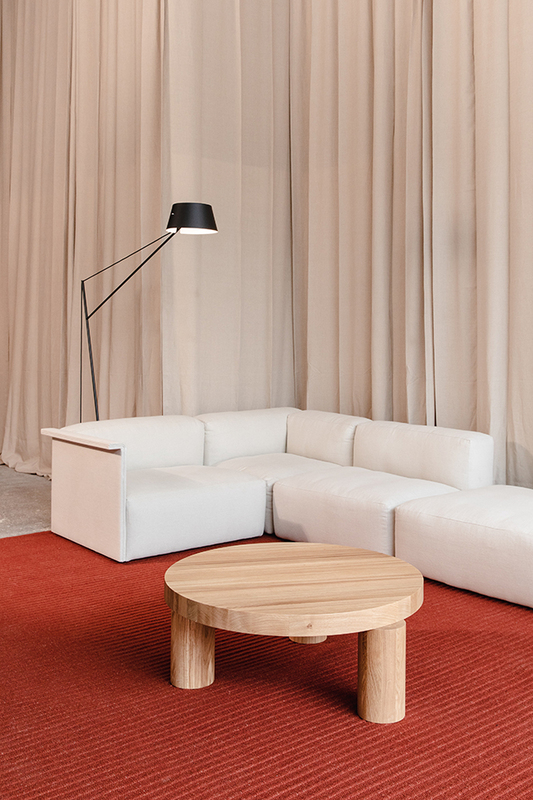 Alongside the Carousel Sofa is the new Buster Table Light designed for Resident by Chris Martin of Massproductions. A distinguished and noble desk lamp available in Stainless Steel and Brass, Buster is ideal for both the home and office. It uses elegantly machined levers and ball joints which work together in harmony to gift the user flexibility and directional adjustment, while the soft-touch switch allows on/ off and dimming of a warm LED light source. Resident Studio have expanded their stunning Circus Light collection for 2018 with the introduction of a new size, the Circus 250. 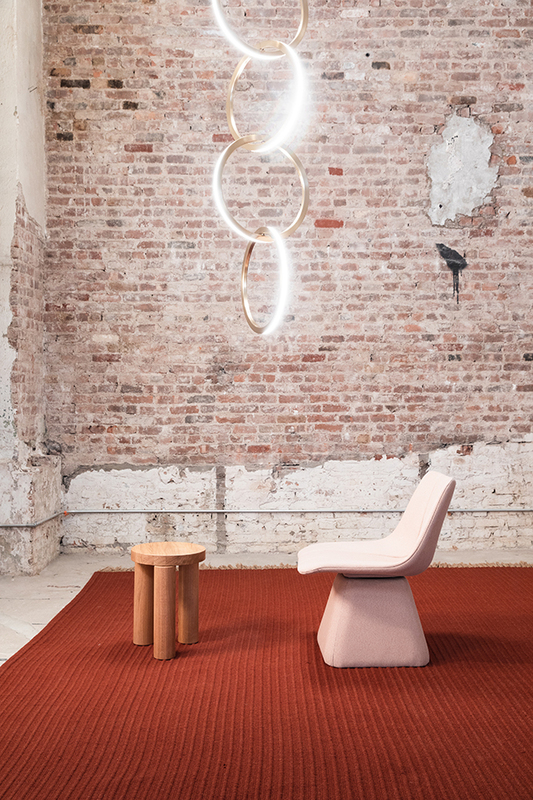 The beautiful light features a remarkable system of interconnected rings that project an elegantly diffused warm LED light source outwards around a 360 degree plane. Designed to be arranged in sequence to create a strikingly theatrical vertical decoration, the lights suit spaces of various shapes and sizes. 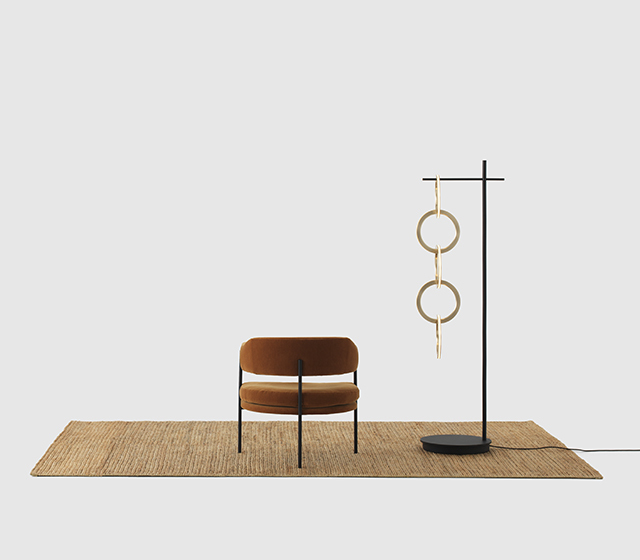 The introduction of the Circus Floor Lamp showcases the unique presentation of the interlinking rings in a form inspired by the aesthetic of a jewellery stand. 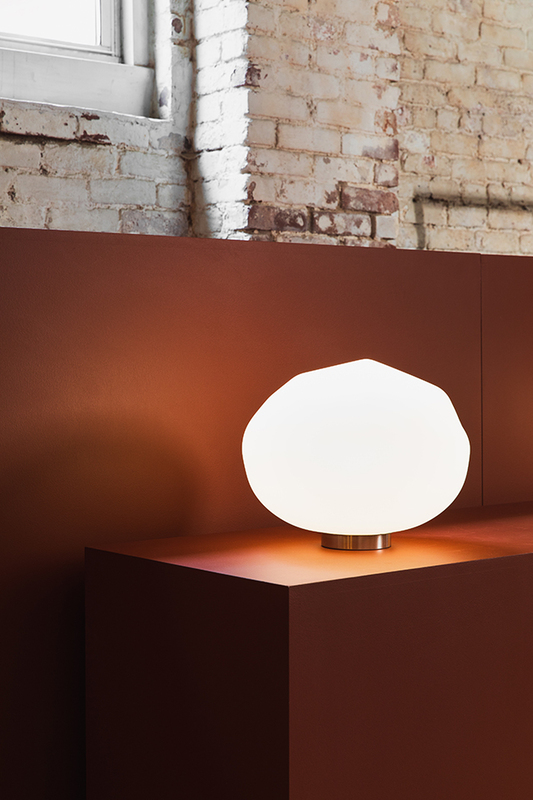 The new Parison Table Light is a collision of technology and craft. Its faceted, digitally forged form is manifested through the warmth of a frosted glass shade, and anchored at the base by a delicate slither of brass. The simpulan effect is a milky table sculpture which emanates light, resembling a soap bubble resting on a tabletop. 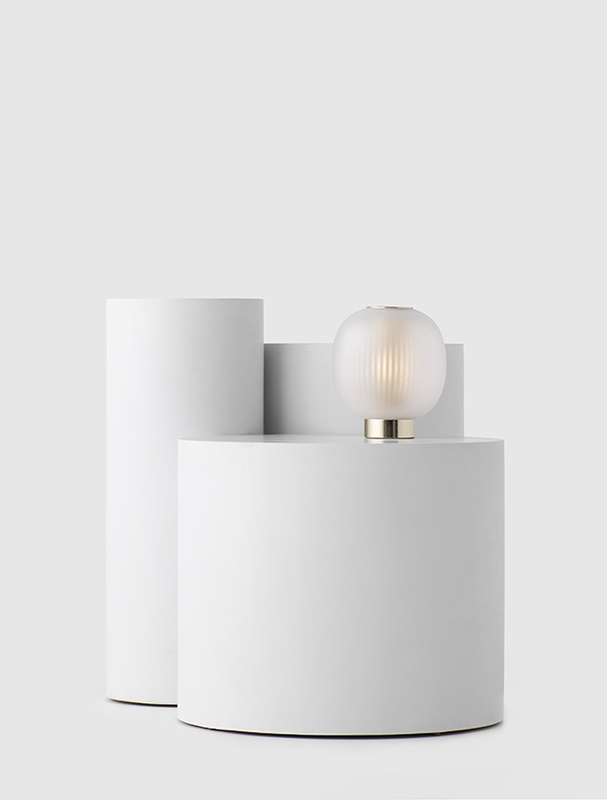 As a piece, the Parison Table light quietly anchors a room, subtly and deliberately imperfect, glowing softly and holding its own. I love how it looks placed on the floor! All of the new furniture and lighting designs will be available soon from the Simon James Showroom. For global stockists for Resident, take a look here. The Simon James Concept Stores have also welcomed some exciting new arrivals, including beautiful homeware pieces from Menu and Tom Dixon, and exquisite new jewellery from Jessica McCormack and Sophie Buhai. 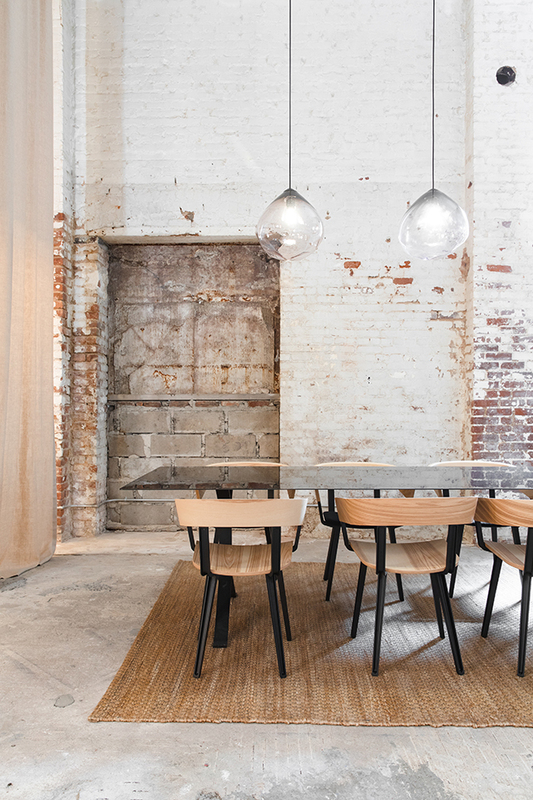 0 Response to "New + Noted | Simon James Design"